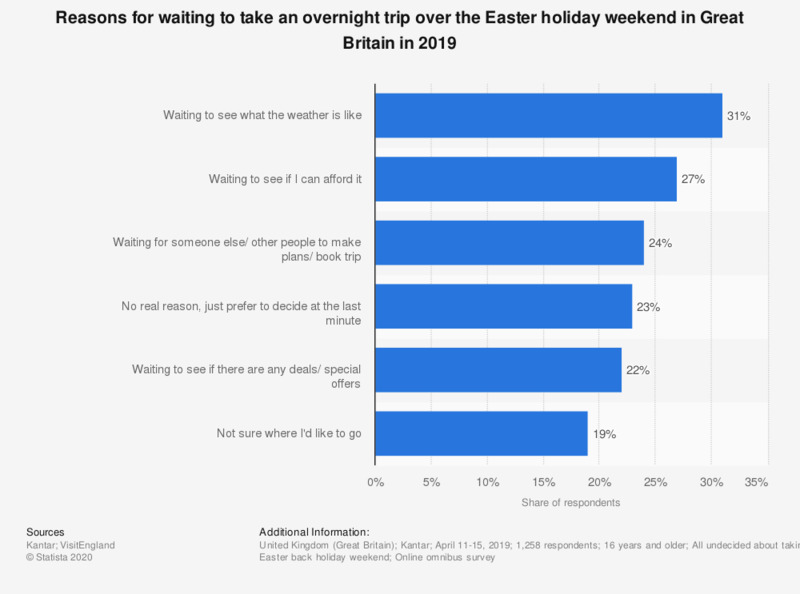 This statistic shows the reasons travelers from Great Britain were undecided about taking an overnight trip during the Easter holidays in 2019. Of respondents 31 percent were waiting to see what the weather was like, while 27 percent were waiting to see if they could afford it. The Easter holiday weekend falls April 19 to 22, 2019 (Good Friday to Easter Monday).